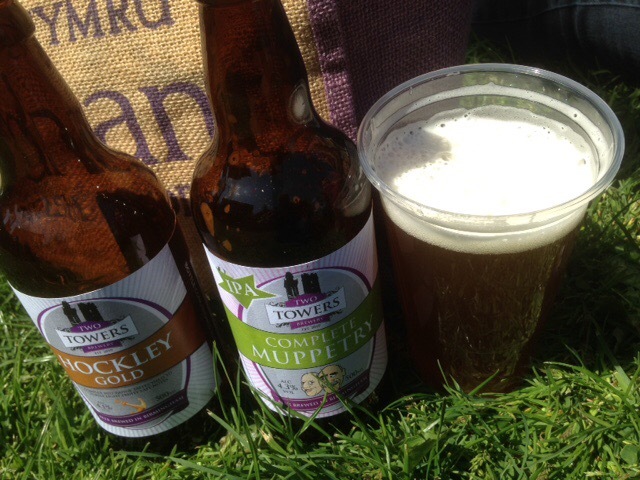 #TastyMorsels: Two Towers Beers go Vegan Friendly and introduce a new ale. 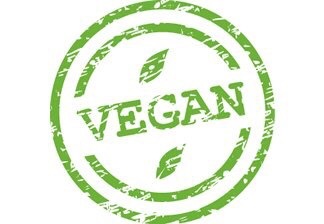 Over the last few weeks there has been a lot of publicity (particularly on the BBC) about Vegan friendly beer. 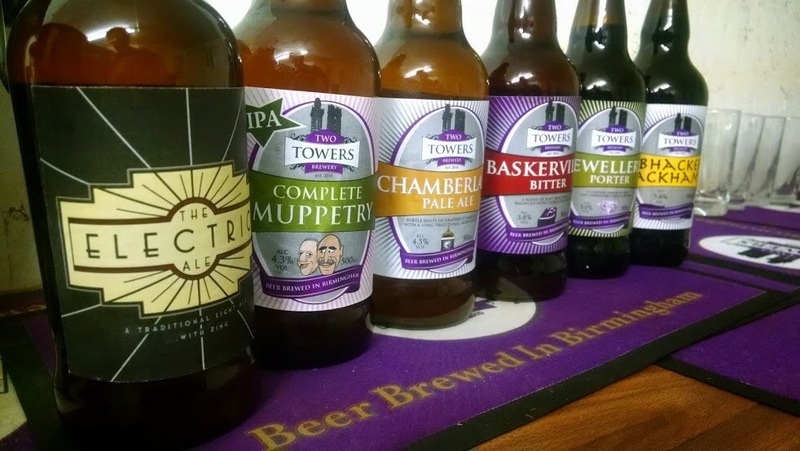 Two Towers Brewery in Birmingham, have now announced that all their cask ales will now be Vegan friendly. Their bottles have been for a long while and this is great news for Veggie ale drinkers and dare I say it all ale fans. 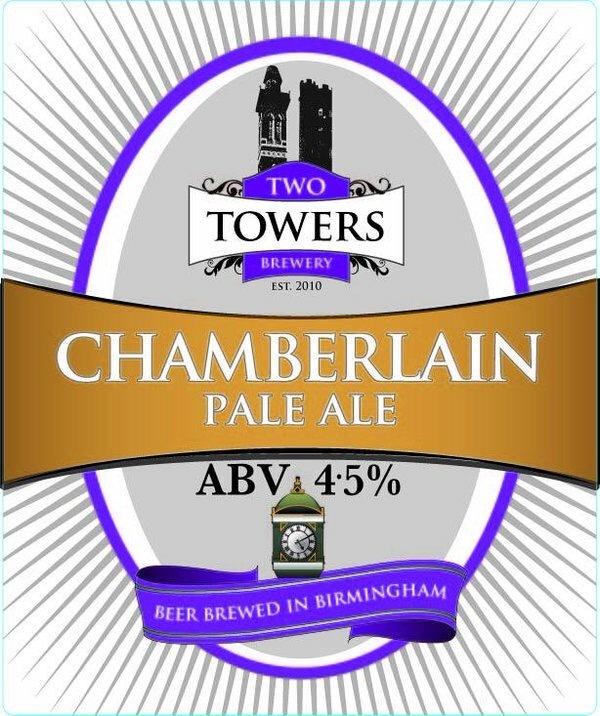 Two Towers Brewery have always been supportive of Vegan and Veggie friendly drink and food holding the Vegan Beer Fest annually and holding nights that are devoted to vegan food at their pub The Gunmakers Arms in Birmingham city centre. 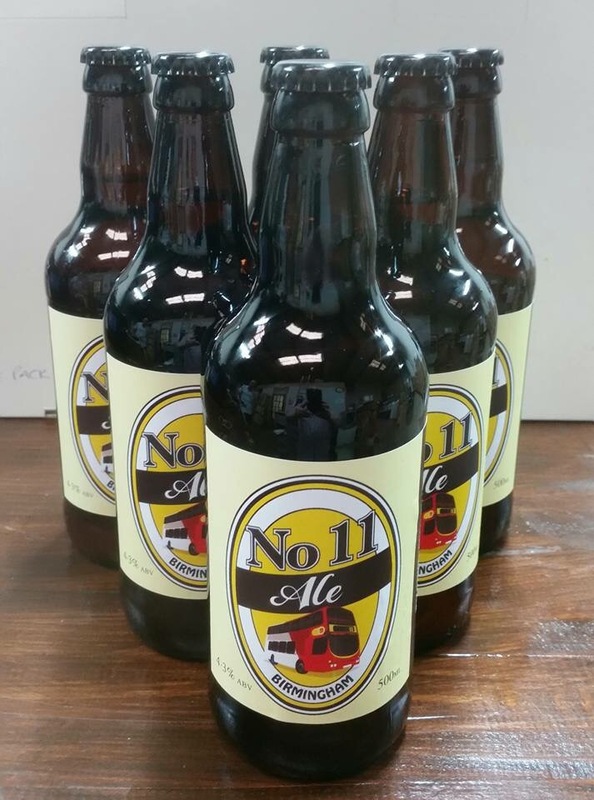 Their bottles are also available at Vegetarian restaurant The Warehouse Cafe in the city and can be found at Brum Yum Yum street food events in Kings Heath amongst other places. 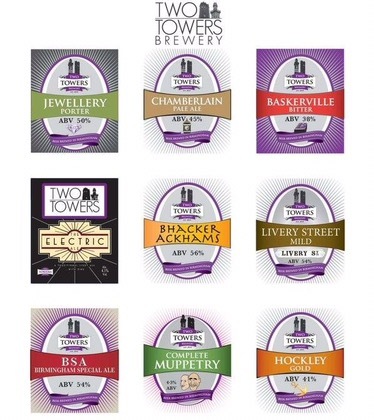 A selection of Vegan friendly beers from Two Towers Brewery. 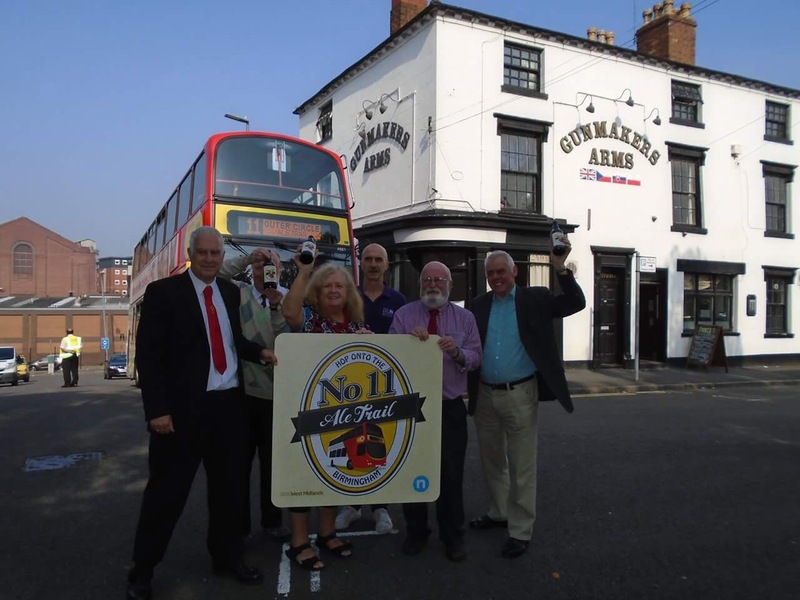 Nx West Midlands have introduced the No’11 Ale trail around their bus route. 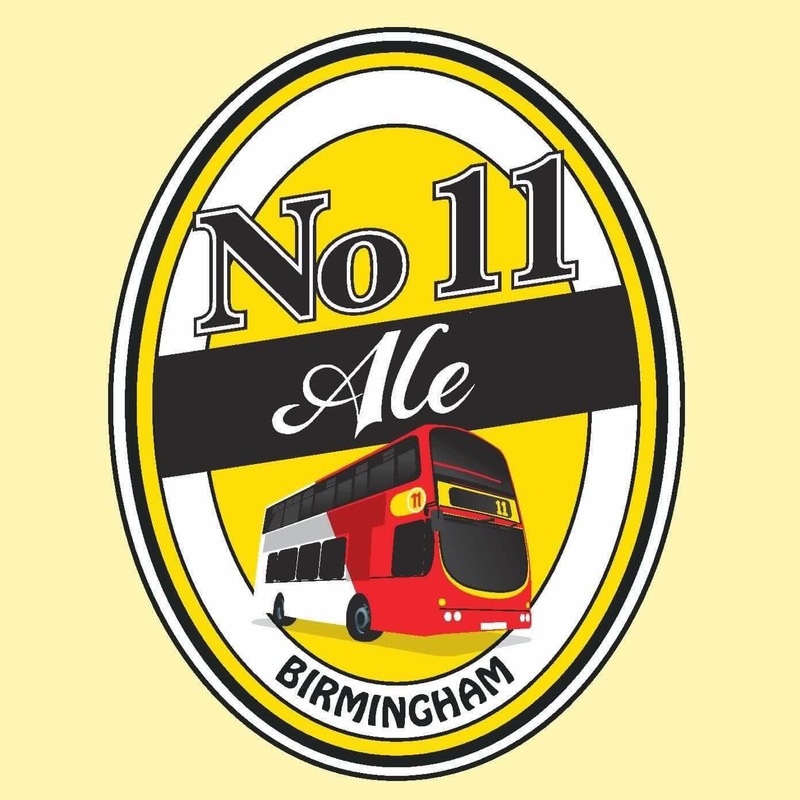 Anyone who has travelled on the No 11 bus will know that it’s a long route around the city (called the Outer Circle). 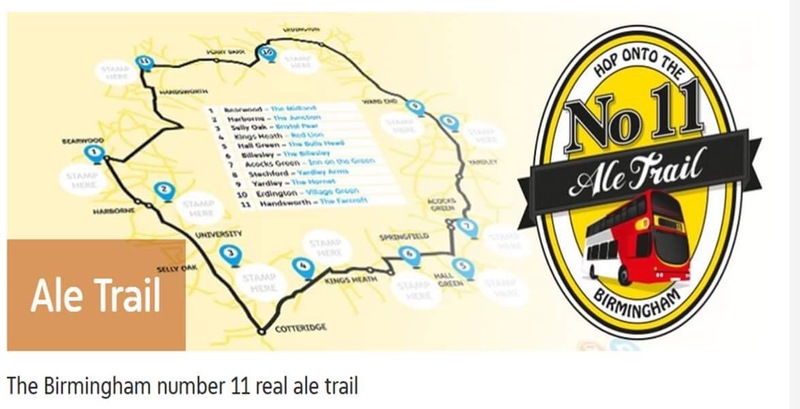 The trail is a handy guide to where to find real ale (CAMRA recommended) on the bus route. See below. Their are 11 pubs in total and stamps can be collected at each of the pub. Collect all 11 and receive a prize. Monthly prizes given. 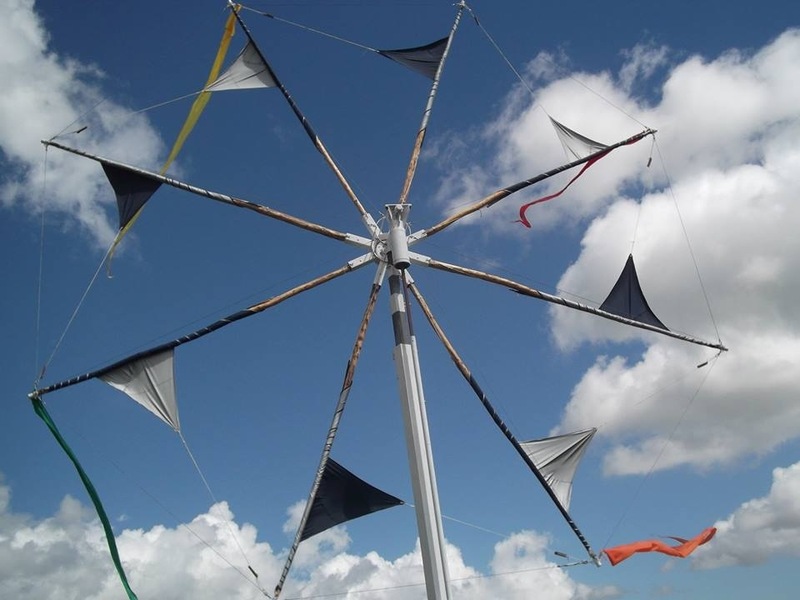 See blow link for details of pubs and map. 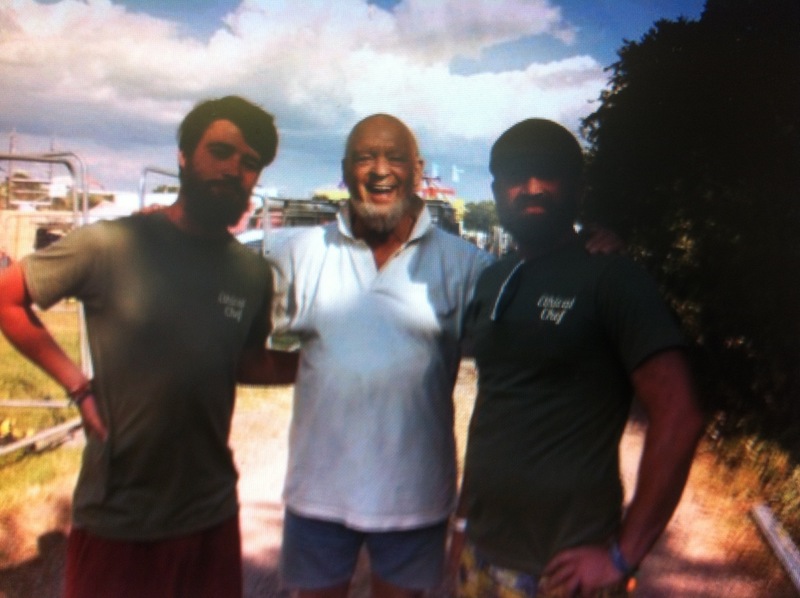 To celebrate the route Two Towers Brewery were commissioned to brew a celebratory ale to mark the occasion. Called surprisingly the No’ 11 Ale its tasting notes suggest it’s a very pale ale with light fruit flavours, suggesting the sunshine that the ale appears to project. Sitting on top of biscuit malt and slight nutty hints. It is available along the route at selected pubs. On Saturday October 22nd The Gunmakers Arms will have another night of Sri Lankan vegan food with Gayanis Kitchen HQ, with Two Towers beers to go alongside five different vegetable dishes. A collection of Vegan friendly beer from TwoTowers brewery. 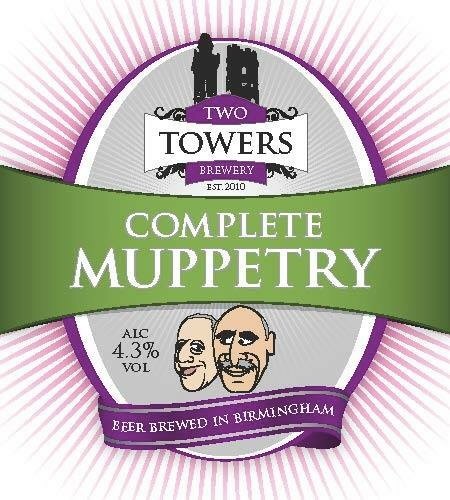 Two Towers beer at Brum Yum Yum KingshEATh. 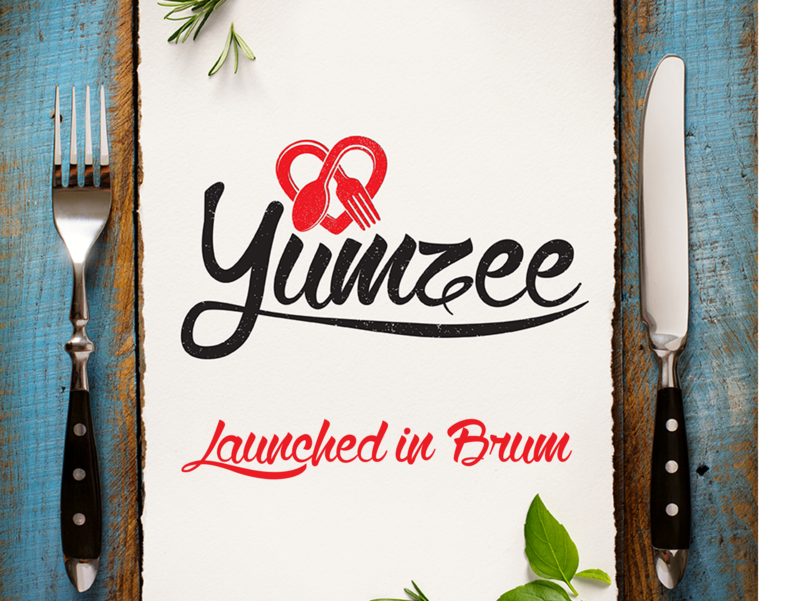 More than just a meal: Yumzee comes to Birmingham. Ever been to someone’s house and said wow that’s good food. You should cook for others. Well it seems you can. 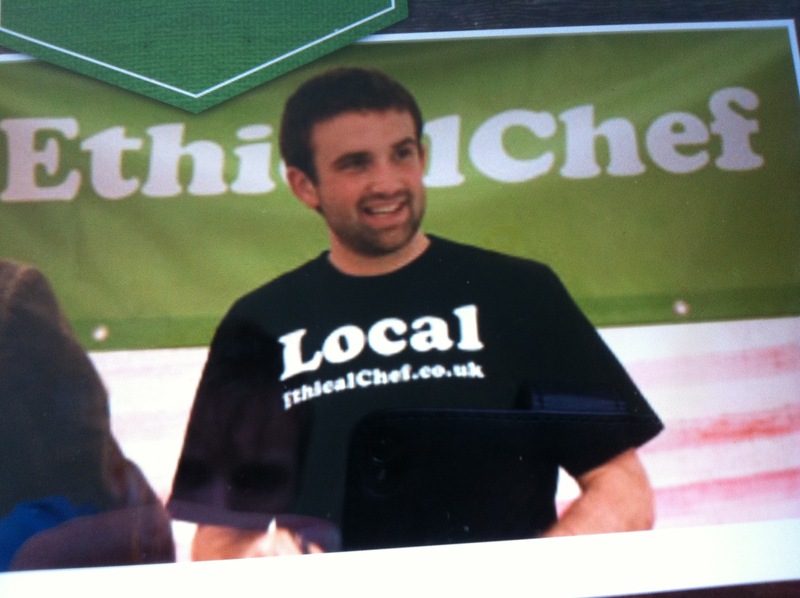 There is a food revolution cooking up in the kitchen near you and it’s being served in Birmingham. 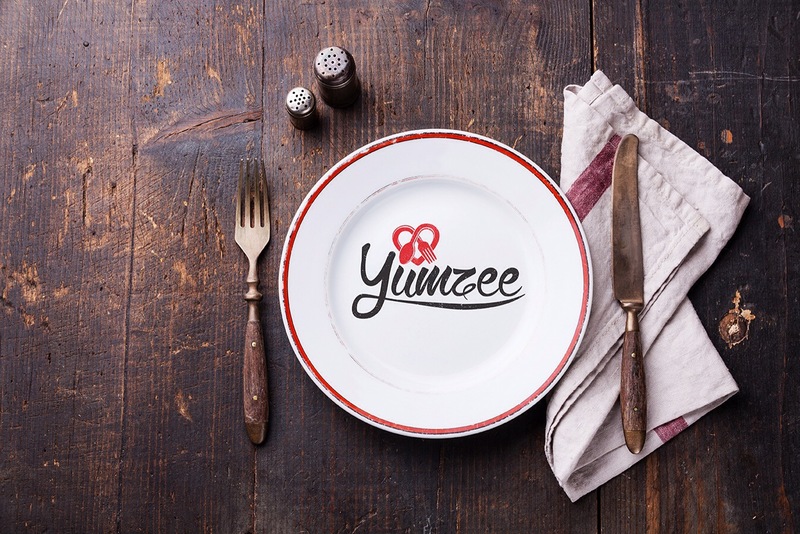 Yumzee is a new way of social dining and connects people who love to cook, with those who love food, in great company and in a unique and authentic home experience. 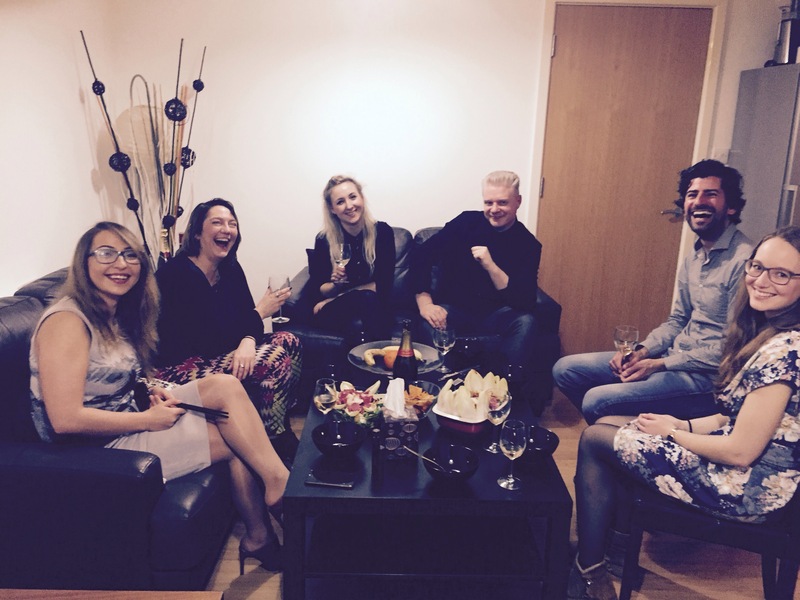 Think ‘AirBnB meets Come Dine With Me’. After being a big trend in Paris social dining has finally come to Brum too. Those of us who are passionate about cooking can become hosts and create a meal, be it a dinner party, Sunday brunch or cocktail tasting. The host chooses the date, sets the number of places at the table, creates the menu, and sets the price for the meal. 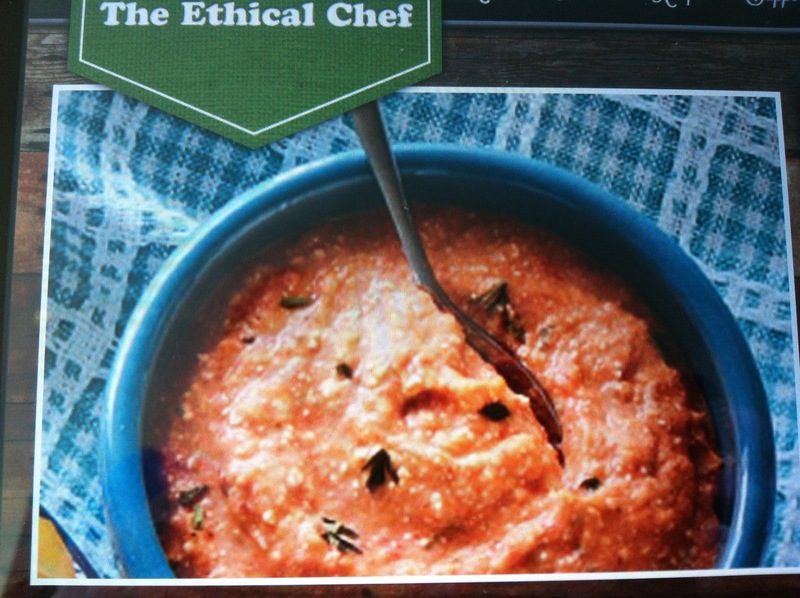 Those of us who love to eat can sign up to the meal, show up to the host’s home, meet new wonderful people and enjoy. 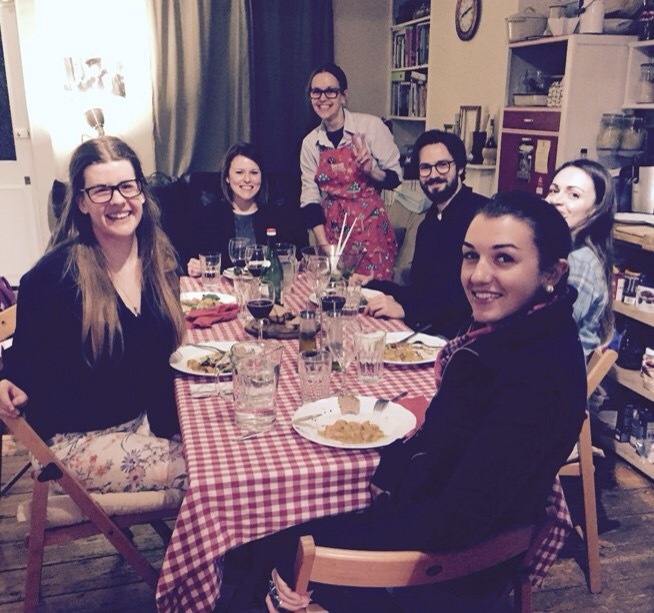 Et voilà – you host or attend your very own supper club. 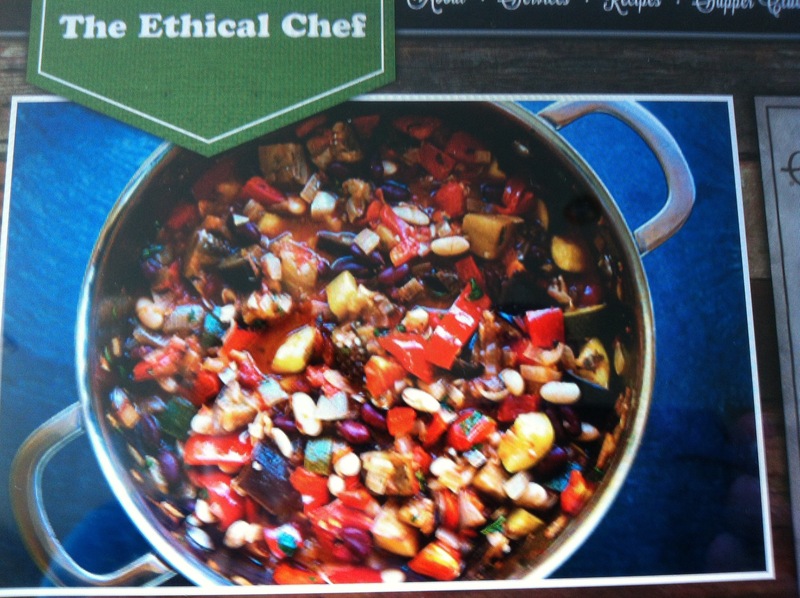 Vegetarians are catered for at most meals and there are invitations to set up complete veggie and vegan meals. 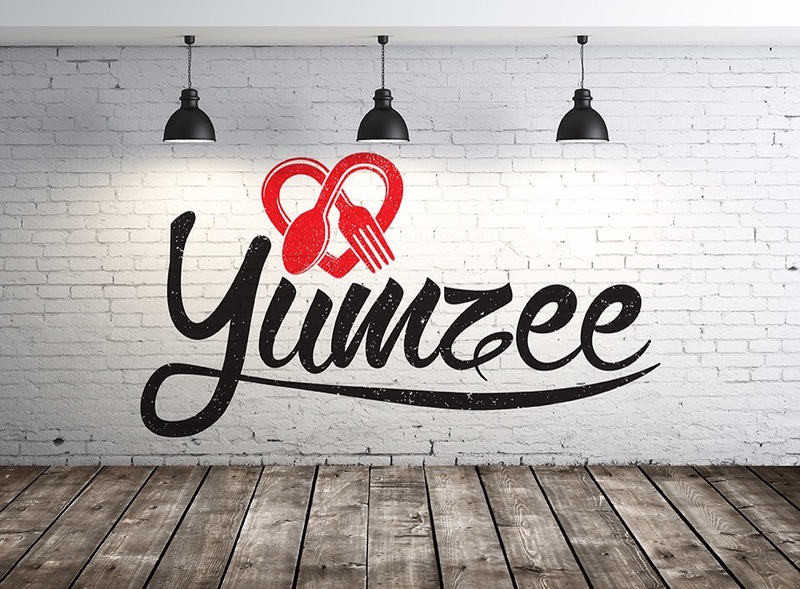 Yumzee is a fantastic new way to meet like-minded people and enjoy a new and authentic experience in one of the hosts’ comfortable homes. 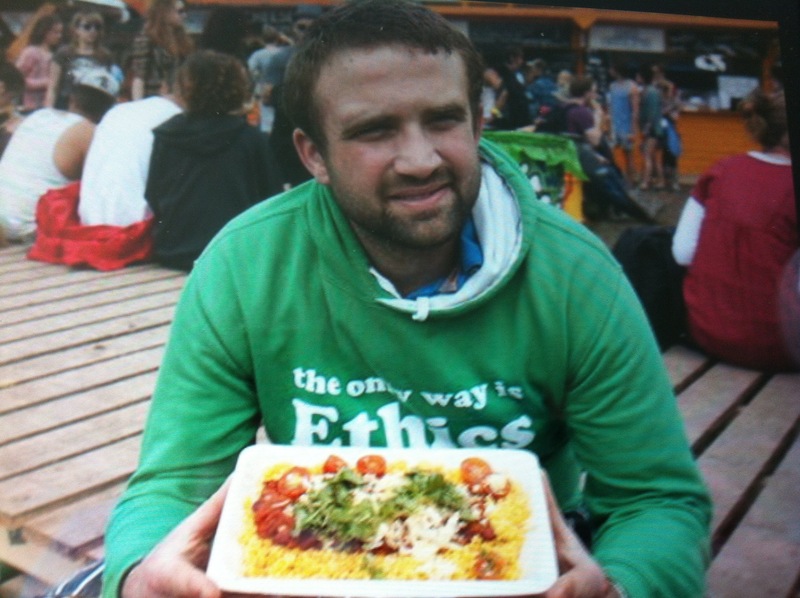 A chance to bond over one of the most basic yet enjoyable experiences in life, food. 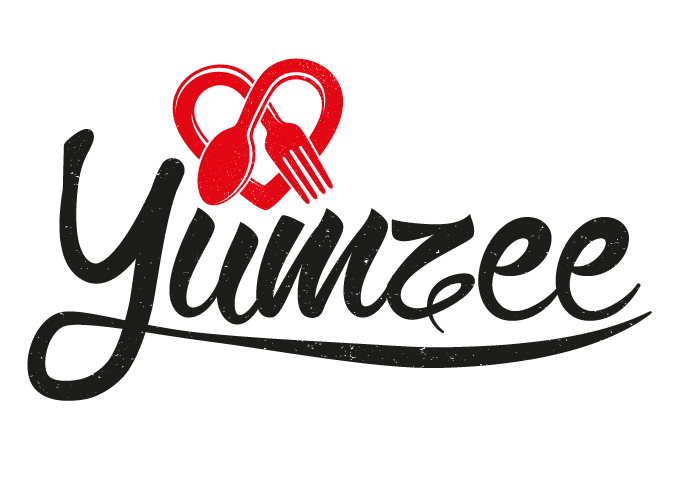 Yumzee have hosted many meals already where people started as strangers and left as friends. 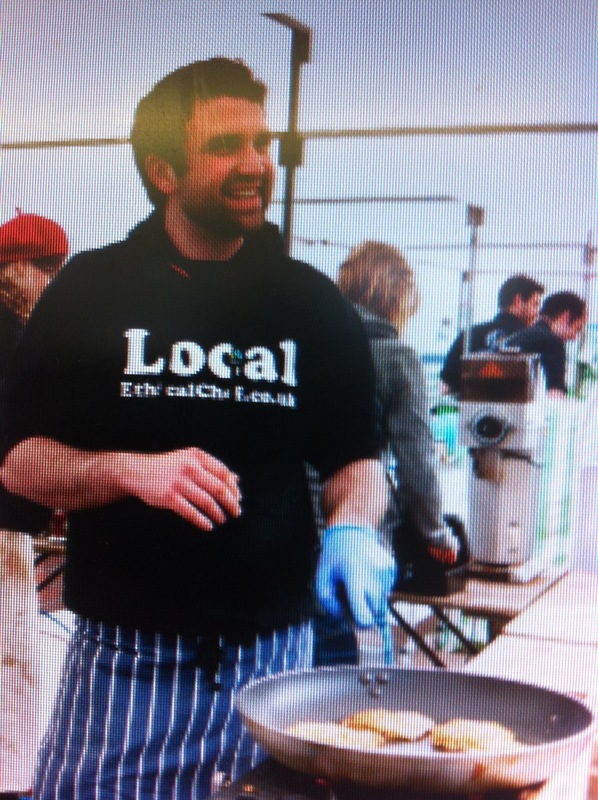 Get involved and take your passion to the next level or to meet likeminded people over great food. Join us for A Taste of Home (Indian), L’art de Vivre (French Fusion) or a traditional Sunday Dinner. So check Yumzee out and get involved. 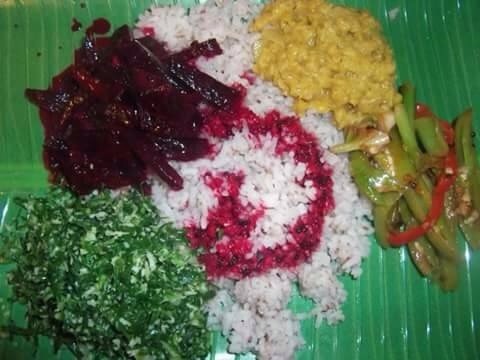 Gayani’s Kitchen: Sri Lankan Vegetarian Delights, Supper Club 12th June 2015. If like me you’ve not been to a Supper Club before, due to the lack of Vegetarian dishes on offer, then fear not as Gayani’s Kitchen is providing a Vegetarian Supper Club on Friday 12th June. 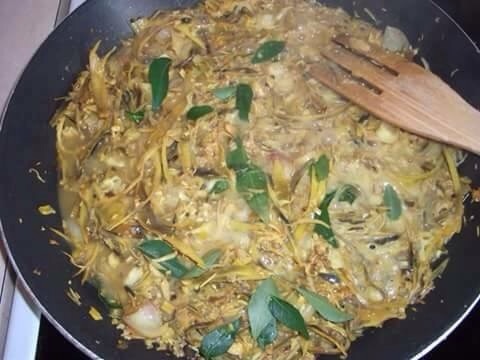 Gayani cooks Sri Lankan food and from the comfort of her home you can enjoy this little found (in Birmingham anyway) cuisine. 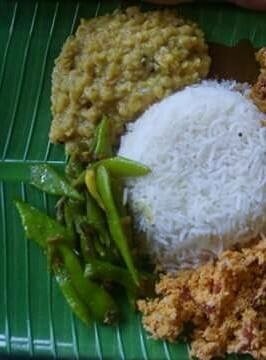 Sri Lankan food has its influences in Colonial powers, foreign traders, and the Kerala region of India. 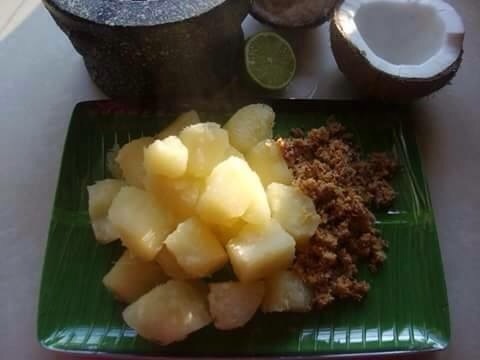 The island has a history as a spice producer so dishes reflect that. 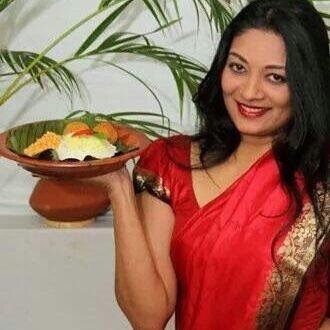 Gayani cooks mostly indigineous vegetarian dishes. 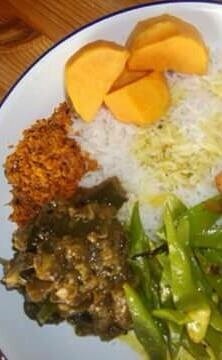 The foreign influenced food has mostly meat and fish in it. 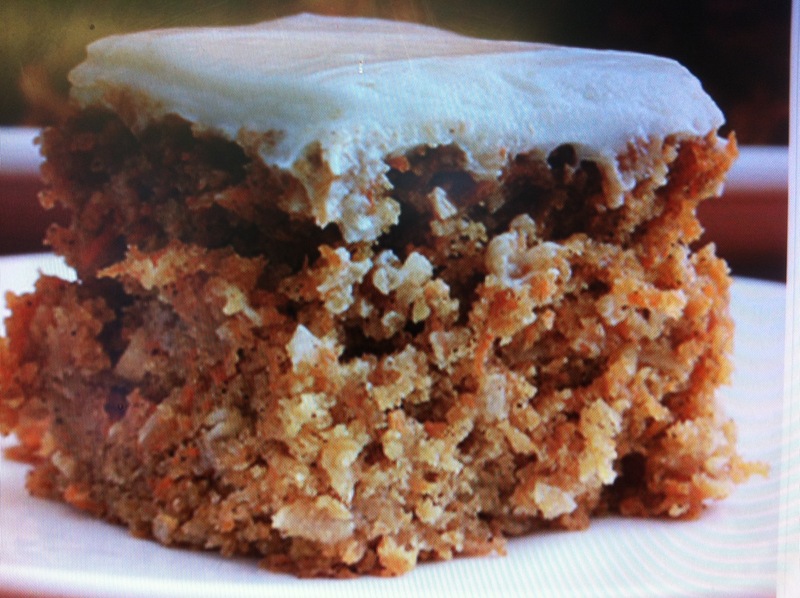 Gayani also provides cookery workshops for £20 pp for groups of 4 or more. Gayani also has her own curry powder called Gold Dust that can be ordered via her website. Beetroot curry, lentils, curry bean baddum, and spicy green Mallum. 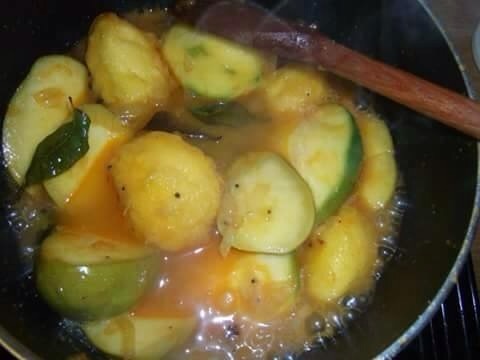 Mix veg mild curry, cooked in coconut milk. 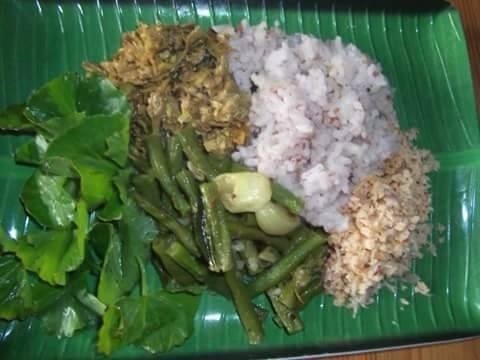 Gotukola herb, snake beans curry. Banan blossoms Badum and coconut Sambal and rice. 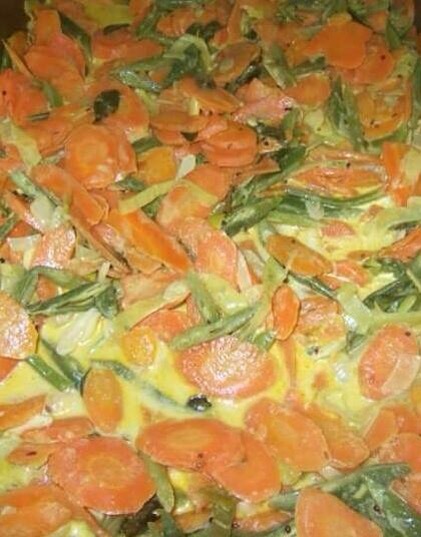 All photos courtesy of Gayani’s Kitchen. With thanks. As anyone who follows my blog will know I’m a keen coffee drinker and from time to time put up up #coffeetime reviews. Though I have been to Six Eight Kafe on Temple Row in Birmingham City Centre (near the entrance of The Great Western Arcade) I’ve not yet reviewed it for my blog. It is one of the best independent coffee shops in Birmingham (voted one of the top 50 in the UK by the Independent Newspaper) and though small is a bustling place with fine artisan coffee and beautiful cakes. 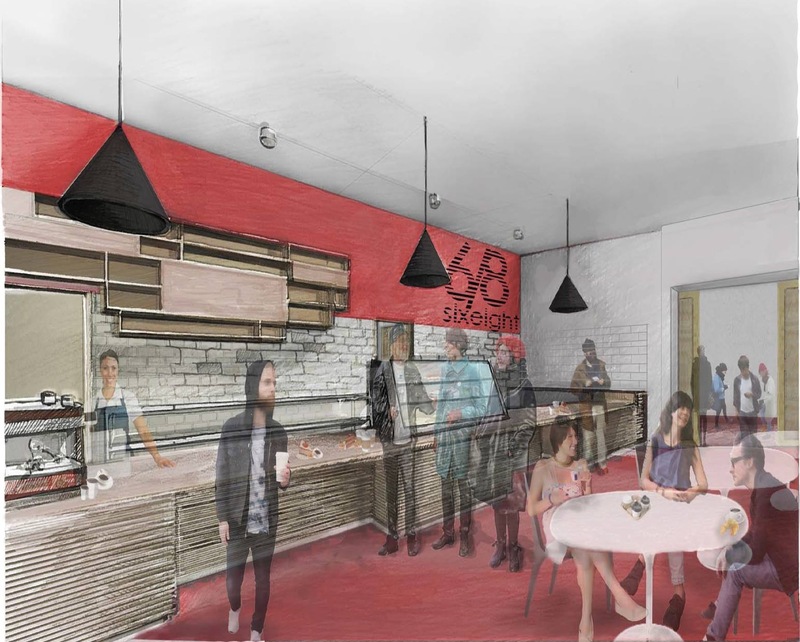 So the news that Six Eight Kafe are now this month January are opening up a new outlet in Millennium Point is quite exciting. Six Eight Kafe have been running a trial pop up coffee shop there for a few months, and with its success have announced a new shop. It’s expected to be one of the largest Artisan independent coffee shops in the Midlands and will have a fully operational kitchen and will be licensed. As a way of launching the fully operational kitchen Six Eight Kafe will be hosting Two Cats Roaming Kitchen roaming February pop up on the 17,18,19 February 2015. Two Cats Roaming Kitchen is a pop up taking a modernist culinary approach to North Eastern European cuisine and making fine dining accessible and informal. Food is served on one shared communal table and with limited tickets for sale is a ticket only event. Chef Nick Astley formally of The Church Inn in the Jewellery Quarter has now taken Two Cats full time after leaving The Church. 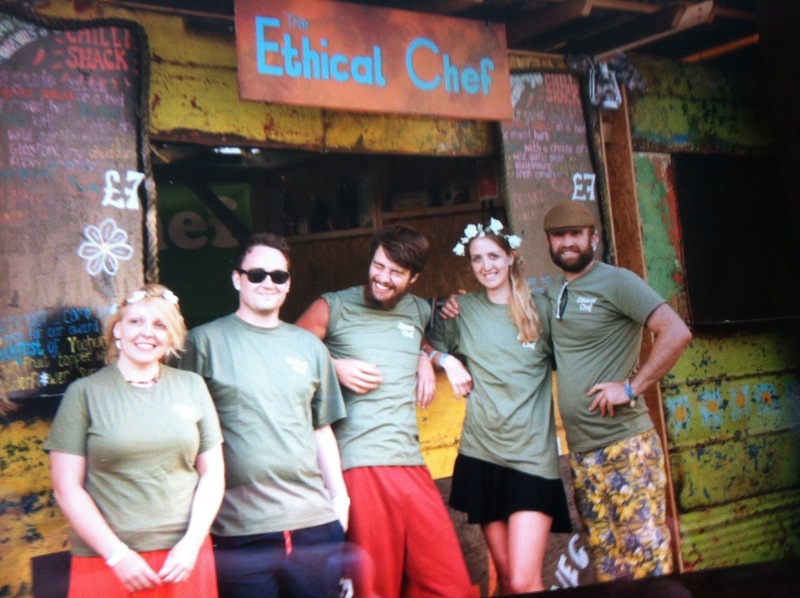 Inspired by his partner Diana’s Latvian food, the Birmingham Post describes his food as ‘imaginative and ambitious’ and fellow local food blogger Full To The Brum have raved about previous pop ups taken place last summer. As I’ve said this is the first time veggie options are available at every course so expect a modern imaginative approach to the dishes and a creative leaning to foraging and seasonal produce. 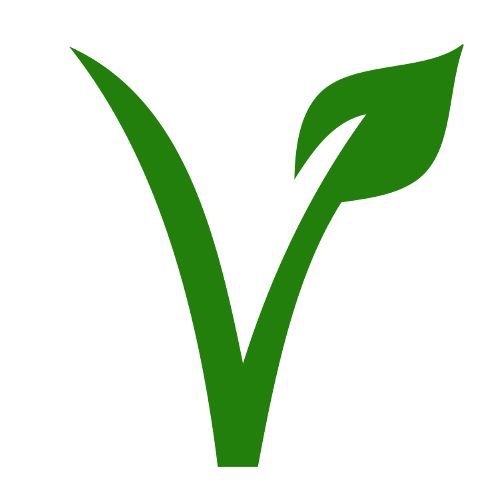 It’s an exciting prospect for veggie foodies and at £31.00 for many courses, is great value. Sweet and sour Jerusalem artichoke, milk ice, cream, Apple and dill. 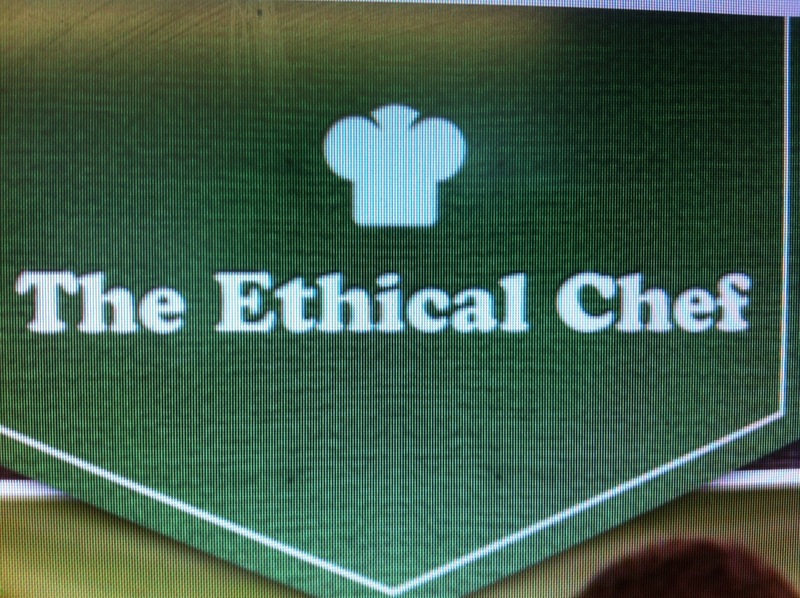 As well as a full non veggie menu. Tickets are available via facebook. There are three dates so you will need to select the best for you. Remember if you are vegetarian then you will have to let them know in advance via Twitter or Facebook on booking. Look out for updates on the menu on this blog, and more updates on Six Eight Kafe.